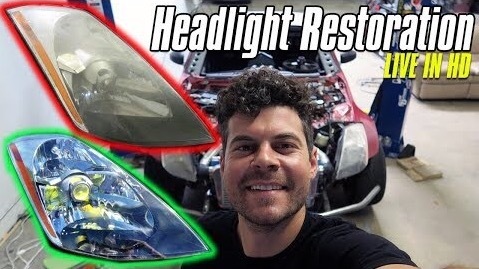 Follow along as we show you how to clean up those dingy headlights! Click HERE to watch. Taking 30 minutes to sand/polish your headlights is a great way to improve the aesthetics of your car. I recommend using 1000,2000, then 3000 grit sandpaper followed boy Compound, Plastic Polish, and wax for the best results. Buy this simple kit to do this procedure yourself HERE!